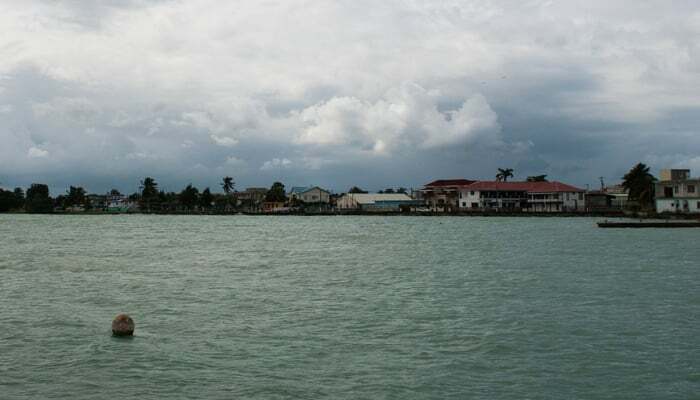 Have you considered Corozal, Belize as a possible town to live in? You wouldn’t be the first! Gary Peterson offers some insight on why some expats chooses to live in this community. Corozal, Belize has long been a magnet for expats from North America and elsewhere. It doesn’t enjoy miles of beautiful sandy beach and there isn’t much nightlife to speak of. So what draws so many people to Corozal? If you ask anyone why they chose Corozal, most will tell you because it’s on the Mexican border. Chetumal, Mexico, is a hop and a skip away. There are also Mayan ruins nearby, like in most of Belize (Mayan ruins are everywhere!). Fishing charters are available and the Shipstern Reserve is great for wildlife tours. But other than that, it’s a sleepy little community. The cost of living is low in Corozal, compared to other places in Belize. That’s what draws many. The duty-free zone at the border helps with that (more on this below). It’s also easy to cross into Mexico to do your shopping at Sam’s Club over the border. Mexico is a much cheaper country than Belize. From Corozal, you can reach the rest of Belize with ease. Ambergris Caye, Caye Caulker, and the Placencia Peninsula are all within short reach by air with Maya Island Air and Tropic Air. Corozal is the poster child for the slow and relaxed. Almost everything is within walking distance. Like most villages in Belize, there are banks, a grocery store, churches, schools and a gas station. The gas station gets little use as gas is much cheaper in Mexico. Spanish is the predominant language in Corozal but most locals speak English. As far as the multinational mix, you will find the usual Maya, Garifuna, East Indians, Mestizos, Asians, and Mennonites. The Corozal Duty-Free Zone (Zona Libre in Mexico) sits right on the border between Mexico and Belize. It’s a sprawling complex of businesses owned and run by residents of Quintana Roo, Mexico. There are no Belizean businesses operating in the zone, but all can buy goods and services here at a discount. Shopping here is an expat’s dream. You’ll find a good share of wholesale stores, shops, and even a mall, with everything at bargain prices. People coming from the Belizean side of the border can also find things here that they can’t get at home. Plenty of local Belizeans and Mexicans also shop in the Free Zone every day because of the savings. And then there are the casinos! In my travels worldwide, one thing Ive learned is the bond between retirees and casinos. I could be wrong, but in my observations, expat retirees in Corozal keep these places afloat. There’s an excellent expat community in Consejo, about 15 minutes outside of Corozal. Here you’ll find beautiful houses with landscaped lawns, and even retirement homes. Corozal is a sleepy little community, and definitely off of the tourist map. Local expats can enjoy the quiet peace of this small town without the hustle and bustle of annoying tourists. They can do a little coastal fishing, shopping, bingo, and even a butterfly tour. If this lifestyle is your dream, then your dream could be waiting for you in Corozal, Belize.